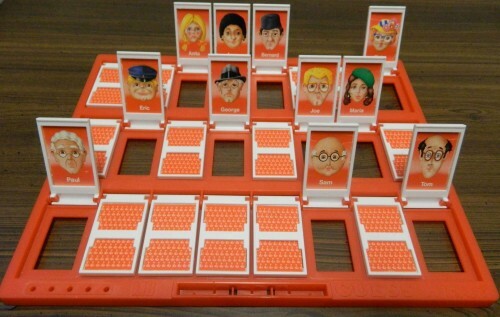 If you grew up in the 1980s or later you probably grew up with the board game Guess Who. Guess Who was first created by Ora and Theo Coster in Great Britain in 1979 and it was brought to the United States in 1982. For those of you not familiar with the game, your objective is to determine the secret identity of the other player before they can guess your secret identity. This is done by asking yes or no questions which will eliminate some of the secret identity possibilities. When I was a kid I loved Guess Who and it was one of my favorite board games growing up. As a children’s game Guess Who is a good game because it is easy to play and teaches kids deductive reasoning. It is easy for children to ask questions like does your person have glasses or do they have yellow hair? 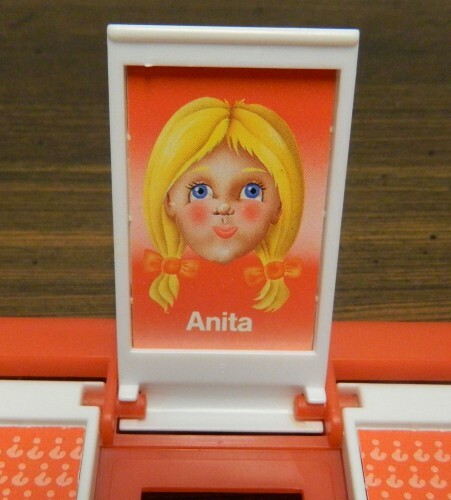 When you play the game as an adult though you will realize that you were playing Guess Who the wrong way if you wanted to increase you chances of winning. So I am going to show you how to play Guess Who the advanced way which can significantly increase your odds of winning the game. Please note that after you know the advanced strategies, Guess Who does lose some of its’ charm so you have been warned. Reading the instructions to Guess Who actually leads you to play the game in a less optimal way. The instructions give the players some sample questions that they can ask the other player. These questions are usually involve asking if the person has glasses, has a hat, has yellow hair, etc. This is a valid way of playing the game and you can actually win really quickly if you end up picking the right characteristic. As a matter of fact you can win the game in two turns if you get an answer of yes to either of the following questions (at least in the 1982 version of the game). Is your person a child? Guess Who only has one black person (Anne) and one child (Anita) in the 1982 edition. If you ask one of these questions and get a yes answer you will win the game unless the other player somehow does the same. The problem is that 23 of the 24 people don’t have these characteristics. This means that 23 out of 24 times you won’t be right and will only eliminate one possibility. 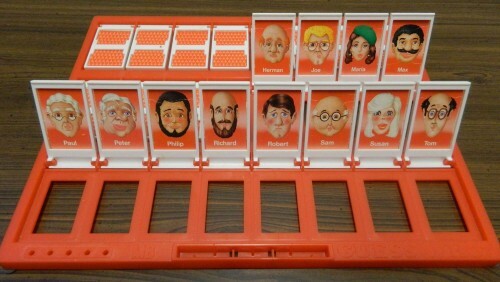 This shows the biggest problem with using traditional questions in Guess Who. 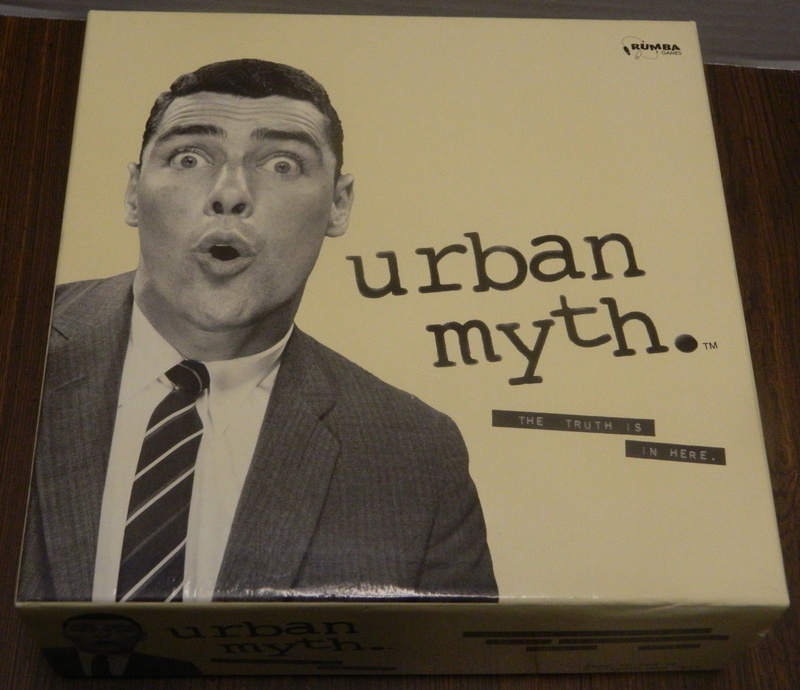 The game was designed so you likely would only eliminate a couple people with each question. Almost every obvious characteristic in the game has a 19/5 split. Nineteen characters have one characteristic while five characters have the opposite characteristic. For example there are five females and nineteen males, five people wear glasses while nineteen don’t, five people wear hats, etc. By asking one of these type of questions you might get lucky and eliminate most of the people right off the bat but more likely you will only eliminate five possibilities. According to Mark Rober, the typical player usually can win using this strategy within around seven questions. If you use advanced strategies though you are guaranteed to solve the other players identity within five or six turns. While it doesn’t guarantee you a victory, you increase your odds significantly if you use advanced strategies. So how do you increase your odds of winning Guess Who? First ignore the type of questions presented in the instructions for Guess Who. While these questions can be used later in the game, using one of these questions early forces you to rely on luck to win the game. 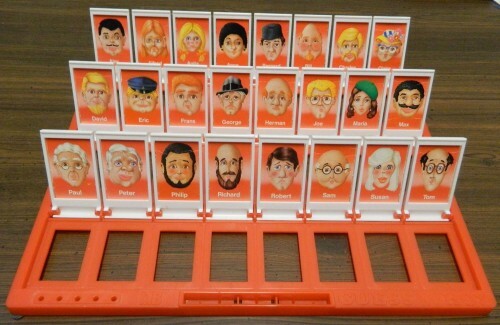 According to the Guess Who rules the only requirement in asking questions in Guess Who is to ask a question that can be answered with a yes or no. Players also can’t guess a person’s name because if they are wrong, they lose the game. So with that knowledge in mind you need to realize that there are better and worse questions that you can ask at the beginning of the game. You are going to want to ask a question that tries to eliminate close to half of the people each round. While you can win quicker if you ask a question that eliminates all but five of the people, you are relying on luck being on your side. If you use the strategy of eliminating half the people each round you will go from 24 people to 12, then 6, then 3, then 1 or 2, and then 1. So how do you ask questions that eliminate half of the people every round? Two basic strategies include using the first letters of people’s names or to ask compound questions that ask for more than one thing. Explanations of both strategies are shown below. Before getting into how to improve your odds of winning the game, lets talk about which secret identities you want to draw at the beginning of the game. Lately Guess Who has received some backlash due to having some diversity issues. The game does only include five female characters, and one black character in the 1982 version. This issue has probably been improved in later versions of the game but it is an issue in the original version of the game. While the female ratio was created in order to maintain the 19-5 ratio mentioned above, after looking at all of the characters’ distinct characteristics I have to say that the female characters in the game have an even bigger disadvantage in the game than I originally thought. Bald – Five characters are bald/balding. Beards – Four characters have a beard. Big Lips – Five characters have big/thick lips. Big Nose – Six of the characters have a big nose. Blue Eyes – Five characters have blue eyes. Bushy Eyebrows – Five characters have bushy eyebrows. Child – One character is a child (Anita). Female – Five characters are women/girls. Frowning – Three of the characters are frowning. Glasses – Five characters wear glasses. Hair Color – All hair colors except for brown have five characters that share the same color. There are only four characters that have brown hair. Hats – Five characters wear hats. Jewelry – Three characters wear jewelry. Mustaches – Five characters have a mustache. Race – One characters is black (Anne). Rosy Cheeks – Five characters have rosy cheeks. Shoulder Length Hair – Four characters have shoulder length hair. If you are playing against a player that is going to ask questions about these distinct characteristics, some characters are better to draw than others since they have less distinctive characteristics. If your opponent uses the advanced strategies presented in this post though it actually doesn’t matter since all of the characters will take essentially the same amount of turns to guess. These best secret identities in Guess Who were determined by the number of distinct characteristics that they have. I may have missed a couple distinct characteristics but if you are playing against a less strategic player these are the secret identities that you probably want to draw. These secret identities are really good since other than hair color and first letter (which are distinct characteristics for every secret identity) they only have one other distinct characteristic. Getting one of these characters is also pretty good since they only have two distinctive characteristics outside of hair color and first letter. If possible these are the identities you want to avoid drawing in the game since they decrease your chances of winning the game against a player not using an advanced strategy. It is not great to draw one of these characters since they have six distinct characteristics that will make it easy to guess them. While these characters are not good to draw they are not the worst to draw. Anita is the worst secret identity to draw in the original Guess Who because she has seven distinct characteristics in the game. Using a traditional strategy Anita has the best chance of being guessed early in the game. As I mentioned earlier Guess Who has been accused of being racist/sexist and this information somewhat confirms that fact. I doubt the game was purposely made in this way but statistically you are better off not being one of the female characters in the game because five of the seven characters with the most distinctive characteristics are females. If your identity is one of the women you have worse odds of winning the game. The easiest advanced strategy to implement in Guess Who is the letter strategy. With this strategy you simply use the starting letter of each characters’ name. Since your goal is to eliminate half of the characters in every turn, you are going to want to ask a question about the middle starting letter of the characters remaining. For example the first question you should ask is if the player’s first name starts with the letters A-G. Since half of the characters are in this range, no matter what answer is given, half of the characters will be eliminated so you will only have twelve characters remaining. After asking three questions involving letters you most likely will have to switch to using other characteristics such as Man/Woman, hair color, etc. Following this strategy you will only need five questions to determine the identity 1/3 of the time or will figure it out in six questions 2/3 of the time. Using the letter strategy you are guaranteed to eliminate half of the characters with just one question. Below is an example of questions you could ask using this strategy. This list first shows the question asked and then the results from a yes or no answer. The last two questions asked in each path can be changed and won’t affect how many turns it takes to figure out the player’s identity. Does the person’s name start with letters A-G? Does the person’s name start with letters A or B? Does the person’s name start with the letter A? Does your person have black hair? Does your person have brown hair? Does the person’s first name start with letters C-D? Does your person have a mustache? Is your person wearing a hat? Does your person have white hair? Does the person’s first name start with letters H-P? Does your person’s first name start with P? Does your person wear glasses? Does your person’s name start with a M? Does your person’s name start with an R? While using the letter strategy is perfectly legal in Guess Who some players may find it to be cheating/against the spirit of the game. If you don’t want to use the letter strategy, your next best strategy is going to utilize compound questions in order to eliminate close to half of the people with each question. This strategy is just as effective as the letter strategy but it takes a little more thought. For this strategy you are going to avoid using just one characteristic for your first couple questions. Since you only have to ask a question that has a yes or no answer you can inquire about two or more characteristics at the same time. For example instead of asking if the player has white hair, you should ask if the person has white hair or black hair. If you asked for just white hair you would likely only eliminate five people. Asking the compound question allows you to eliminate ten people or fourteen people. Using this strategy you will solve the identity within five turns 1/3 of the time and within six turns 2/3 of the time. The best compound question to ask as your first question might be to ask if they have a man-made item on their face (glasses, hats, jewelry and bows). This question is a good first question because you will either eliminate eleven or thirteen people with the first question. Below is a breakdown of how to use this strategy. Using the man-made item question you can eliminate 11 or 13 of the people with your first question. Does your person have a man made item on their face/head (Hat, Glasses, Jewelry, Bow)? Is the person wearing glasses? Does your person have yellow hair? Does your person have facial hair (beard or mustache)? Does your person have a beard? Does your person have darker hair (brown or black)? Does your person have a thick mustache? Does your person have blue eyes? Do you have any memories of the game Guess Who? Can you think of an even better strategy in order to beat Guess Who in fewer turns? Share your thoughts in the comments section. letters and combined questions are not in the spirit of the game. 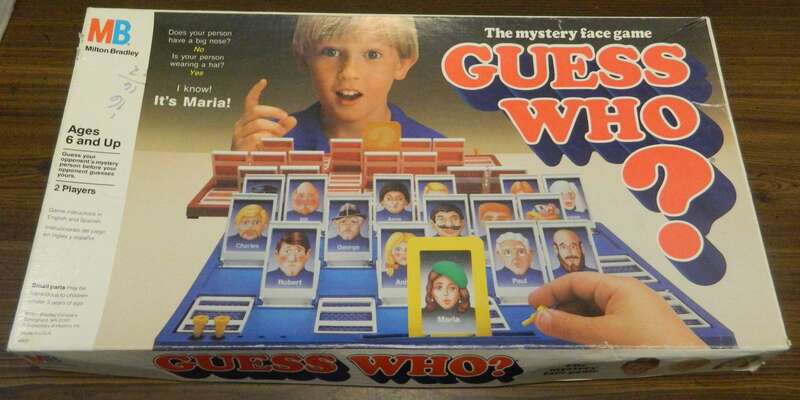 I agree that using letters and combined questions are not in the spirit of Guess Who. If you are really competitive and don’t care about following the spirit of the game though they make it much easier to win the game.